Looking for fun things to do in Wichita this Spring? Each Saturday from April 6-20, 2019, Botanica will be celebrating Spring with Tulips, Fairies, and Forts. You’ll enjoy live performances, activities, crafts, building your very own fairy house for a chance to win one of several prizes, and – of course – 60,000 tulips adorning the gardens! Lunch and snacks will be available to purchase at the Cafe. Regular admission fees apply for non-members; Botanica members pay $3 for admission to Tulips, Fairies, and Forts. Every week they’ll have numerous activities, and music! In addition to the regular fun activities, special guests are scheduled to visit Botanica during Tulips, Fairies, and Forts … including the Easter Bunny visit on April 20! 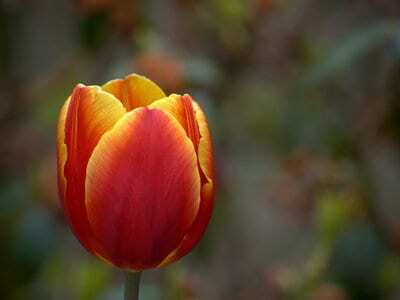 To see all the scheduled activities, visit the Tulips, Fairies, and Forts page at the Botanica website. I am trying to find out information on the fairy house competitions. Where can I find registration and rules, please? Thank you! There’s a link in the article above that takes you to more info on the Botanica website. Once you get to that page, look for another link to registration info for the fairy house competition.